Can the left thrive in Brazil's Congress without the Workers' Party? Can the left thrive in Brazil’s Congress without the Workers’ Party? 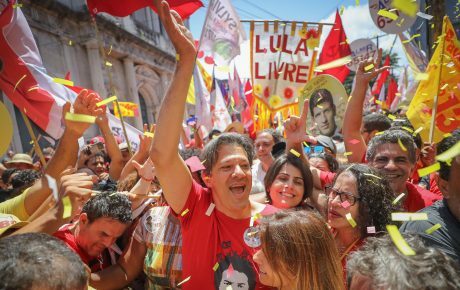 The 2018 Brazilian presidential election was marked, among other things, by the sheer inability of political figures left of center to break with the hegemony of the Workers’ Party. Candidate Ciro Gomes got the closest to doing so, having negotiated coalition deals with pretty much any available party around, from the extreme left to the hard right. 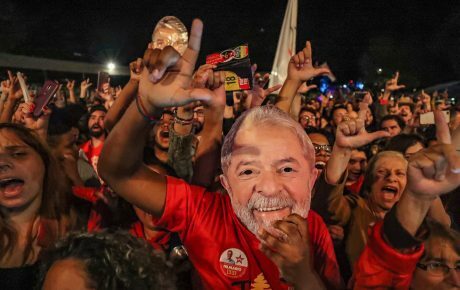 But former President Lula, from prison, commanded a strategy to isolate Mr. Gomes and keep the Workers’ Party (even with an understudy as candidate) as the sole major force in the left. Things could change now, as at least three parties are set to form a leftist parliamentary front, without Lula’s political group. “The Workers’ Party doesn’t hold a monopoly over left-wing politics in Brazil. 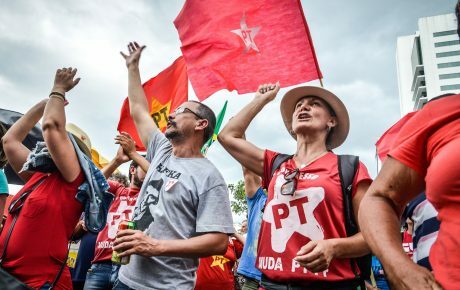 We don’t mean to isolate them, just differentiate our way of doing politics from theirs,” says Carlos Siqueira, chairman of the Brazilian Socialist Party (PSB), which stood with the Workers’ Party in most of the recent presidential races. Together, the Democratic Labor Party (PDT), which presented Mr. Gomes as its presidential candidate, the PSB, which remained neutral in the race, and the Communist Party of Brazil (PCdoB)—which was on the Workers’ Party ticket—would have 70 seats in the lower house. In the Senate, they would also have the Popular Socialist Party (PPS) and the environmentalist party Rede, which launched Marina Silva for president. In the Senate, the group would have 15 seats (of 81), making it the biggest front in the upper house. What kind of opposition will Jair Bolsonaro face? While life without the Workers’ Party is certainly possible, it will be anything but straightforward. Since the early 1980s, Lula has established himself as the sun around which the Brazilian left orbits. Moreover, the Workers’ Party is the only one in Brazil with a true militancy and that truly operates as an actual political party. The rest only exist for most of the electorate when it is election season. 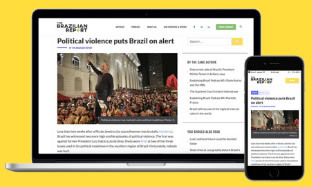 Immediately after the election results were up, showing a big win for far-right Jair Bolsonaro, the Workers’ Party announced it would “resist” the new administration – which the party doesn’t recognize as legitimate. “The party will not let [the government] rest, and there’s the possibility of radicalizing. It will be challenging for them, having an ultra-conservative president with a conservative Congress, as well,” says Antonio José Barbosa, professor of political history at the University of Brasília. 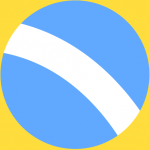 The new leftist front, however, promises a different kind of opposition. For once, they are likely to support the right-wing Rodrigo Maia to be re-elected as House Speaker. The idea behind it is that Mr. Maia is a moderate and someone politicians already know. 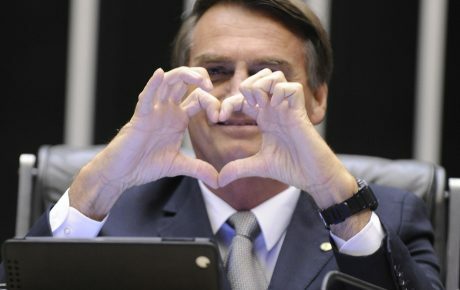 By boycotting him, the left could help elect a newcomer radical from Mr. Bolsonaro’s Social Liberal Party (PSL), which snatched the second-highest amount of seats in the House, with 52. They are also unlikely to oppose the economic reforms defended by the future administration—which could help Brazil out of its slump. This less-confrontational way of doing politics could work better, especially if Mr. Bolsonaro adopts a rhetoric that the opposition is anti-patriotic. That would make life hard for those who oppose him, especially if the new administration achieves positive economic results in the short term. What would happen to the Workers’ Party? If the new leftist front is successful, the Workers’ Party would be in a bad situation. Its main leader is in prison, and the party’s top brass has recently been indicted for multiple counts of corruption. The Workers’ Party is getting more and more isolated, as the runoff stage campaign has shown. Despite having called Jair Bolsonaro a “fascist,” many leaders simply refused to show support for a party that has systematically undermined its allies in the past (editor in chief Gustavo Ribeiro discussed the cowardice of that move in an op-ed). By refusing to do any soul-searching, the Workers’ Party indicates it expects the Bolsonaro administration to be a short-lived failure. That’s a mistake. Like their ideas or not, the truth is that Mr. Bolsonaro has picked competent people for his economic team – even if other choices make moderate people cringe. He could deliver good short-term results, which would further isolate the Workers’ Party. If the party doesn’t change, it will continue to get weaker. This election showed a party which is entrenched in the northeast. That was the only region in which the party won state races and that its presidential candidate got the majority of votes. For a party that wants to get the presidency back in four years, that’s not enough. Brazil’s Northeast: is it still a Workers’ Party stronghold?